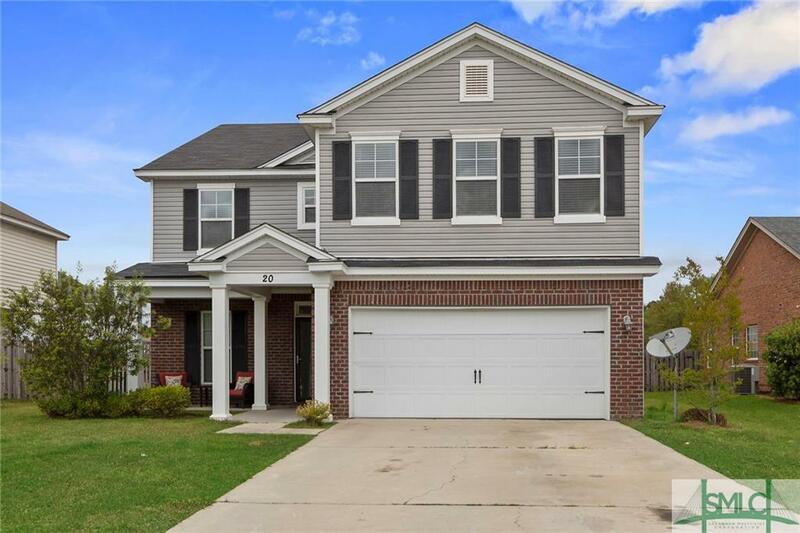 This stunning 5 bed 3 bath home is located just minutes from Poolerâs most popular restaurants, shopping, and entertainment! Beautiful trim package and arched doorways can be found throughout the homeâs main living areas including a spacious living room, large formal dining room, and kitchen complete with gorgeous granite counter tops, stainless steel appliances and 42 inch cabinets offer tons of storage. Guest Bedroom and full bath on the first floor perfect space for an in law suite. Located upstairs, the over-sized master suite boasts a tray ceiling and luxury bath complete with double vanity, garden tub, and separate shower plus his and hers walk in closets. 3 additional large bedrooms all with walk in closet space located on the second floor plus large loft area!! Loft area makes for perfect second living room. Large fenced in back yard. Covered front porch plus 2 car garage! This home is a must see!